Although many claim the economy is still down, ecommerce has shown this may not be quite as true as consumers and the public believe, or as the media makes it out to seem. Of course, one key factor in how well internet marketing does for ecommerce stores is free shipping. Not only does it increase the likelihood of someone making a purchase, it also ups the amount of money they may spend. In fact, comScore reports indicated that from the beginning of November until Christmas Day, sales for ecommerce were up 15 percent versus the same period the previous year. While the overall growth rate of the 2011 Christmas and holiday shopping spell was not as high as the prior year, the overall results were still promising. There are many factors that go into consumer spending online. From the merchandise offered down to the e-commerce website design, certain traits make consumers more likely to spend in certain places. 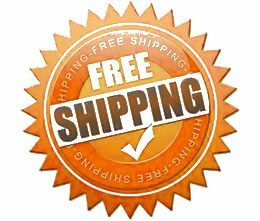 One surefire way to gain sales through internet marketing is to offer free shipping. Ecommerce is no different from brick and mortar retailers who must offer promotions to lure in browsers and buyers. As comScore also pointed out, ecommerce sites began running specials before Thanksgiving up until the final days of holiday shopping. Many of these deals and promotions occurred on Cyber Monday. Cyber Monday is the internet marketing and etailers’ version of real world retailers’ Black Friday. Both of these fall on the heels of Thanksgiving. Specials and promotions make shoppers more willing to buy. The free shipping promotion seems to encourage consumers to spend even more than the average purchase or order amount. For some ecommerce stores, offering free shipping on certain dollar amounts helps, while others see results from excluding shipping costs regardless of the amount of the sale. One encourages consumers to spend more, while the other simply encourages shoppers to buy something regardless of the amount. Ecommerce sellers, as part of the internet marketing strategy, continue to offer their specials and promotions earlier each holiday season. In return, consumers seem willing to spend more money. Or as comScore points out, consumers are willing to incur greater amounts of debt. This past November holiday season saw an increase of nearly 10 percent in household installment debt. This percentage was the quickest monthly increase in this type of debt since the same month back in the year 2001, an entire decade earlier. Though the job market seems to be slowly improving and unemployment rates were down slightly, the average consumer still needs to incur a percentage of debt to get their holiday shopping done. Even with consumers being willing to get into debt for holiday shopping, it seems the specials, offers, promotions and discounts are what helped the 2011 produce as well as it did. Topping that list was free shipping, which helped encourage consumer spending. E-tailers looking for tactics to increase sales or the amount of money spent per transaction might consider offering free shipping even at times other than the holiday season. ← What Is a Call-to-Action?